Blame the Sun is a riff on a northeast India pale ale. Just a hint of clean tartness in this all Citra IPA that's quadruple dry hopped with Citra and Amarillo hops. Jesse Chehak’s photographs, films, and artworks are inquisitive encounters with places, communities, and circumstances. 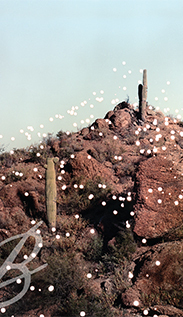 His approach to environmental portraiture and landscape photography takes its contemporary departure from the established traditions of these genres, which he developed with the guidance of the preeminent American photographers Joel Sternfeld at Sarah Lawrence College and with Frank Gohlke at the University of Arizona. His art practice is underpinned by independent projects, editioned exhibitions, and collaborative ventures across a wide spectrum of printed and digital media. Chehak applies his curiosity about the world and capacity to create visual entry points to extensive editorial assignments for publications including Dwell, Fortune, T Magazine, Newsweek, Nowness, Travel + Leisure, W, Wallpaper, Wire, and WSJ. Magazine. His advertising clients include Aetna, Dupont, Johnson & Johnson, Lexus, Nike, American Express, and T-Mobile. Learn more about Jesse Chehak by visiting the official artist website below. Read More.